More than six decades ago, Inner Wheel Club of Singapore President Clara Anciano came to the Philippines with her Rotarian husband to attend the conference of Rotary International District 3800 in Manila. There she met the Ladies Committee of the Conference headed by Trinidad “Trining” Legarda with members Millie Lim and Fely Tanco. Encouraged by then District Governor Balmy Balmaceda, the foundation of Inner Wheel was dug in the rich ground of the Ladies Committee who served as the core group that paved the way for the laying of the first brick that formed the foundation of Inner Wheel in the Philippines, the Inner Wheel Club of Manila, on March 1949, by the master brick layer of its founder, Ambassador Trining Legarda. The leadership of the first Inner Wheel Club was placed in the capable hand of another bricklayer, President Eugenia “Gening” Puyat, who put to task thirty-four (34) lady Anns to make its mark in the forefront of friendship and service. The foundation became more solid as more bricks were laid in Quezon City, Cabanatuan, Nueva Ecija, Malolos, Bulacan, Cebu and soon after, to the provinces of the archipelago. As the Inner Wheel Clubs grew in number, they offer Rotary Anns the opportunity to not only work alongside Rotary Clubs in their respective projects but to also engage themselves in other community projects that were aimed to improve the quality of life and their beneficiaries. Individual Inner Wheel Clubs in the Philippines made their presence felt as their services to their respective communities created an impact in the lives of their beneficiaries. At this point, it was realized that there is a need to federate the Clubs and it became imperative to have a national organization of Inner Wheel, to have a clear direction a common goal to achieve of effective and coordinated service to the communities. 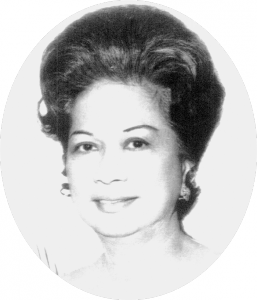 In 1965, sixteen years after the organization of the first Inner Wheel Club in Manila, founder Trining Legarda once again saw herself meeting the challenge of uniting all Inner Wheel Clubs in the country and sow the seed of organizing the Association of Inner Wheel Clubs of the Philippines (AIWCP). On February 19, 1966, then District Governor Jose “Joe” Barredo gave his full support to this giant leap on the Inner Wheel movement in the country. A Steering Committee was formed in the person of Trining Legarda (IWC Manila) as Chairman, Esther Vibal (IWC Quezon City) as Secretary, with Nita Caparas (IWC Caloocan), Lily Basa Salazar (IWC Manila) and Trining Enriquez (IWC Quezon City) as members. d.) Cooperate with Rotary whenever invited to do so. On June 25, 1966, the charter officers of the Association of Inner Wheel Clubs of the Philippines headed by Trining Legarda as its President were inducted into office by then District Governor Joe Barredo during the RI District 380 Conference at Oresta Ola, San Fernando, La Union. To serve for a period of two years were the other officers, 1st Vice President Nita Caparas (IWC Caloocan), 2nd Vice President Natividad Nazareno (Cavite), Secretary Felicidad Tanco (IWC Quezon City), Assistant Secretary Helen Lorenzana (IWC Marikina), Treasurer Trining Enriquez (IWC Quezon City), Assistant Treasurer Min Mendoza (IWC San Fernando La Union), Parliamentarian Carolina Basa Salazar (IWC Manila), Auditor Pilaring Nable (IWC Calapan), Directors: Mary Anne Rosales (IWC Baguio), Ising Nisce (IWC San Fernando, La Union), Loleng Imperial (IWC Naga) and Angie Padilla (IWC Cabanatuan); Esther Vibal (IWC Quezon City) was appointed Executive Secretary. Soon after, the federation was renamed Inner Wheel Clubs of the Philippines. With the opening of the IIW Council to representatives of Inner Wheel Clubs from other countries, Pres. 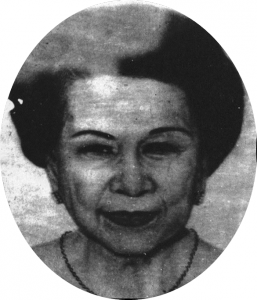 Trining Legarda became the first Philippine Representative to the International Inner Wheel, a position she held for three consecutive years and entitled her to sit in the IIW Board for that length of time. During these years, the Philippine Inner Wheel made its important contributions in the development of certain policies and procedures of IIW through IIW Representative Trining Legarda, notably the approval by the United Nations of the proposal of IIW to be one of the non-governmental organizations to act as advisers in the UN Economic and Social Council (UNESCO). Up to the present, International Inner Wheel still is one of the advisers in the UN ECOSOC and has offices in Vienna, Austria and New York, USA. Her name, and of course the Philippine Inner Wheel, went down in the history of International Inner Wheel as recorded in a book entitled International Inner Wheel – The First 25 Years published by Helena Foster of IIW (p. 165, “The original suggestion that International Inner Wheel should apply to the United Nations for consultative status came from Mrs. Legarda, Board Member for the Philippines in 1970…” ). It is for this reason that IIW requires IWCPI to render annual reports on such UN concern projects that Inner Wheel espouses, i.e. Rights of Women, the Rights of the Child, the Right of Family Life, Drugs and Prohibited Substance, Rights of the Elderly. d. To promote love and friendship among its members, and foster national and international understanding. It would have been a remiss therefore if this historical account will not mention subsequent significant highlights in the course of building the Inner Wheel edifice as it grew in height from the bricks laid down by each year’s master builders. Each master builder has laid her own bricks of leadership and achievements that strengthened the foundation of each floor. In October 1968, International Inner Wheel President Maureen Lavander Weightman visited the Philippines and personally presented the IIW Charter papers to the first fifteen (15) clubs in the Philippines. Brought into the international family of Inner Wheel were: Inner Wheel Clubs of San Fernando La Union, Cavite, Manila, Calamba, Vigan, Cebu City, Cebu West, Davao City, Davao East, Quezon City, Marikina, Caloocan, Cabanatuan, Naga and Lipa. In due time, another group were chartered: Inner Wheel Clubs of Batangas, Iloilo, Iriga, Malolos, Ormoc City, Taal-Lemery, Tacloban and Tarlac. a. “Tubig Sa Barrio” (Water for Rural Areas) which aims to provide potable water to remote villages. b. “Ako Ay Pilipino” (I am a Filipino), an essay writing and extemporaneous speech which aims to foster Nationalism among youth through his active participation in community development and perception in the current events happening in the country. c. “Operations Paglingap”, a project which aims to provide assistance to victims of natural calamities. d. “Operations Karunungan” focuses on promoting informal learning and assistance to communities by providing educational materials and tools to the different schools in the community. e. “Tunay na Atin” (Buy Philippines), an activity done during World Inner Wheel Day which encourage appreciation for and consumption of locally made / produced items and promote Filipino Business. Another milestone in the growth of Inner Wheel in the Philippines was the international recognition accorded to Past National President Esther Vibal when she was elected International Inner Wheel President in 1983-1984, the first Asian and only Filipino who have achieved such honour. 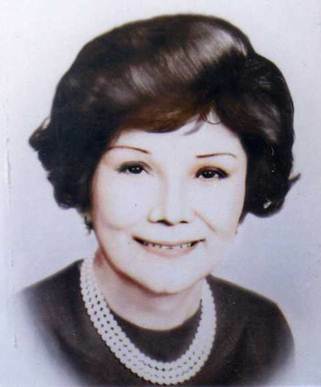 Prior to her election to the international presidency, Past National President Esther Vibal served for two years as National (Philippine) Representative and Board member to International Inner Wheel. Obviously, she has served well for then she was elected International Editor, the first Asian to hold the honour, a position she held for three years. As Editor, she laid her own bricks in the building of International Inner Wheel which she nailed with attendance of board meetings and conferences, and worldwide contact with Districts and National Governing Bodies. This extensive exposure and experience gave her the break to become the International Vice President in 1983-1984 which culminated in her being elected International President in the subsequent year. As the first Asian and Filipino IIW President, Past National President Esther wa tasked with a mission to project the global dimensions of the objects of Inner Wheel, that of true friendship, service to humanity, peace and goodwill through international understanding. b. Granting of IWCPI Charter to newly formed Clubs upon their induction as members of IWCPI. d. Honoring of Past National Presidents and Past IIW Representatives and Board members during World Inner Wheel Day. By the turn of the century, IWY 1999-2000 witnessed the election of Past National President (also a Past National Representative) Carmen “Mameng” Santillan to the IIW Board. Her previous experience as Past IIW Representative and Board Member did her well in the performance of her duties as an IIW Board Director. Owing to this, she was re-elected Board Director the following year. Philippine Inner Wheel has already created a niche in the international circle which has deepened with the qualifications of our Past National President (also a Past National Representative) Rosalind “Linda” Jardeleza to the IWY 2002-2003 IIW Board. It is worthy to note that the structure of Philippine Inner Wheel resembles four-step ladder with the Clubs at the first step, banded together geographically to form the District at the second wrung, which together with other Districts, comprise the National Governing Body at the third, and on its international affiliation with International Inner Wheel as the last step. With this structure its composition of membership and the organization’s friendship and love, opportunity to serve, foster understanding, and become leaders in their communities, thus contributing to nation building.